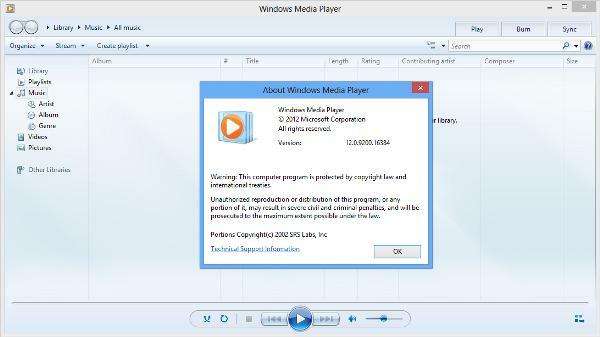 If the lack of Windows Media Player (WMP) in the previously leaked Windows 8 Enterprise N x64 ISO held you back from using the image for installing Windows 8, an original Microsoft ISO for 64-bit Windows 8 Enterprise edition (without N, indicating full version) has leaked. W.Z.T released the English x64 version of Windows 8 Enterprise edition ISO, which does not have the WMP stripped away. With WMP, the Metro Video and Music apps should work properly. The ISO is from VL (volume licensing) channel, and no product key is required to install the OS. And best of all, the ISO is said to be the original Microsoft image, untouched and unmodified. Download 64-bit Windows 8 Enterprise RTM via torrent with the name of MICROSOFT.WINDOWS.8.ENTERPRISE.RTM.X64.VOLUME.ENGLISH.DVD-WZT (link removed).